Ubisoft Entertainment SA (/ˈjuːbisɒft/; French: [ybisɔft]; formerly Ubi Soft Entertainment SA) is a French video game company headquartered in Montreuil with several development studios across the world. It is known for publishing games for several acclaimed video game franchises, including Assassin's Creed, Far Cry, Just Dance, Prince of Persia, Rayman, Raving Rabbids, and Tom Clancy's. As of March 2018, Ubisoft is the fourth largest publicly-traded game company in the Americas and Europe after Activision Blizzard, Electronic Arts, and Take-Two Interactive in terms of revenue and market capitalisation. The Guillemot family had established themselves as a farming support business for farmers in the Brittany province in northwest France and nearby regions, including into the United Kingdom. The five sons of the family – Christian, Claude, Gérard, Michel and Yves – helped with the sales, distribution, accounting and management of the company with their parents prior to university. All five gained business experience while at university, which they brought back to the family business to help improve it, at a time where farming businesses were starting to wane. The brothers came up with the idea of diversification to sell other products of use to farmers; Claude began with selling CD audio media, and later the brothers expanded to computers and additional software which included video games. In the early 1980s, they saw that the costs of buying computers and software from a French supplier was more expensive than buying the same materials in the United Kingdom and shipping to France, and came upon the idea of a mail-order business around computers and software. Their mother said they could start their own business this way as long as they managed it themselves and equally split its shares between the five of them. Their first business was Guillemot Informatique, founded in 1984. They originally only sold through mail order, but soon were getting orders from French retailers, since they were able to undercut other suppliers by up to 50% of the cost of new titles. By 1986, this company was earning about 40 million French francs. In 1985, the brothers established Guillemot Corporation for similar distribution of computer hardware. As demand continued, the brothers recognised that video game software was becoming a lucrative property, and decided that they needed to get into the development side of the industry, already having insight on the publication and distribution side. Ubi Soft (formally named Ubi Soft Entertainment S.A.) was founded by the brothers on 28 March 1986. The name "Ubi Soft" was selected to represent "ubiquitous" software. 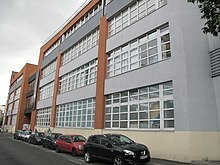 Ubi Soft initially operated out of offices in Paris, moving to Créteil by June 1986. The brothers used the chateau in France's Brittany region as the primary space for development, hoping the setting would lure developers, as well as to have a better way to manage expectations of their developers. The company hired Nathalie Saloud as manager, Sylvie Hugonnier as director of marketing and public relations, as well as several programmers, though Hugonnier had left the company by May 1986 to join Elite Software. Games published by Ubi Soft in 1986 include Zombi, Ciné Clap, Fer et Flamme, and Masque, as well as Graphic City, a sprite editing programme. As their first-ever game, Zombi became a critical and commercial success, and had sold five thousand copies by January 1987. Ubi Soft also entered into distribution partnerships for the game to be released in Spain and West Germany. Ubi Soft started importing products from abroad for distribution in France, with 1987 releases including Elite Software's Commando and Ikari Warriors, the former of which had sold 15,000 copies by January 1987. In 1988, Yves Guillemot was appointed as Ubi Soft's chief executive officer. Around 1988, the costs of maintaining the chateau were too expensive, and the developers, about a half-dozen at the time, were given the option to relocate to Paris. One of Ubi Soft's first hires was Michel Ancel who was only a teenager at the time, but had been noticed by the brothers for his animation skills, and he and his family relocated to Brittany. However, with the chateau's closure, Ancel's family could not afford the cost of living in Paris, and returned to Montpellier in southern France, while the Guillemot brothers told Ancel to keep them abreast of anything he might come up with there. Ancel came back later with Frédéric Houde with a prototype of a game with highly-animated features which caught the brothers' interest. Michel Guillemot decided to make the project a key one for the company, establishing a studio in Montreuil to house over 100 developers in 1994, and targeting the new line of fifth generation consoles like the Atari Jaguar and PlayStation. Their game, Rayman, was released in 1995 to critical success, and is considered the game that put Ubi Soft in the worldwide spotlight. Alongside this, Yves managed Guillemot Informatique, making deals with Electronic Arts, Sierra On-Line and MicroProse to distribute their games in France. By the end of the decade, Guillemot Informatique began expanding to other markets, including the United States, the United Kingdom and Germany. They entered the video game distribution and wholesale markets, and by 1993 they had become the largest distributor of video games in France. In 1996, Ubi Soft listed its initial public offering and raised over US$80 million in funds to help them to expand the company. Within two years, the company established worldwide studios in Annecy (1996), Shanghai (1996), Montreal (1997), and Milan (1998). One difficulty that the brothers found was the lack of an intellectual property that would have a foothold in the United States market; games like Rayman did well in Europe but not overseas. When widespread growth of the Internet arrived around 1999, the brothers decided to take advantage of this by founding game studios aimed at online free-to-play titles, including GameLoft; this allowed them to licence the rights to Ubi Soft properties to these companies, increasing the share value of Ubi Soft five-fold. With the extra infusion of €170 million, they were able to then purchase Red Storm Entertainment in 2000, giving them access to the Tom Clancy's series of stealth and spy games, highly popular in the United States. Ubi Soft helped with Red Storm to continue to expand the series, bringing titles like Tom Clancy's Ghost Recon and Tom Clancy's Rainbow Six series. The company got a strong foothold in the United States when it worked with Microsoft to develop Tom Clancy's Splinter Cell, an Xbox-exclusive title released in 2002 to challenge the PlayStation-exclusive Metal Gear Solid series, by combining elements of Tom Clancy's series with elements of an in-house developed game called The Drift. Splinter Cell helped not only to sell the Xbox 360 console, but established both Ubi Soft and its Montreal studio as important players in the video game market. In March 2001, Gores Technology Group sold The Learning Company's entertainment division (which includes games originally published by Brøderbund, Mattel Interactive, Mindscape and Strategic Simulations) to them. The sale included the rights to intellectual properties such as the Myst and Prince of Persia series. Ubisoft Montreal developed the Prince of Persia title into Prince of Persia: The Sands of Time, released in 2003, another critically successful title. At the same time, Ubi Soft also released Beyond Good & Evil, Ancel's project after Rayman; it was one of Ubi Soft's first commercial "flop", as while it has gained an appreciation over time, it was met with lukewarm reception at its release alongside a competitive 2003 release market. The evolution of the Ubisoft logo. The initial logo was created on the company's founding in 1986. With publication of Rayman, the company used the rainbow shape to show their shift from distributor to publisher in 1995. The blue "swirl" was introduced in 2003 with the rebranding from "Ubi Soft" to "Ubisoft" as to represent a more mature company, alongside their acquisition of the Tom Clancy license. The minimalistic swirl was introduced in 2017, designed to appear as windows into their game worlds while retaining a grain de folie (touch of madness). On 9 September 2003, Ubi Soft announced that they would change their name to simply Ubisoft, and introduced a new logo known as "the swirl". In December 2004, rival gaming corporation Electronic Arts purchased a 19.9% stake in the firm. Ubisoft referred to the purchase as "hostile" on EA's part. Ubisoft's brothers recognised they had not considered themselves within a competitive market, and employees had feared that an EA takeover would drastically alter the environment within Ubisoft. EA's CEO at the time, John Riccitiello, assured Ubisoft the purchase was not meant as a hostile manoeuvre, and EA ended up selling the shares in 2010. Ubisoft established another new IP, Assassin's Creed, first launched in 2007; Assassin's Creed was originally developed by Ubisoft Montreal as a sequel to Prince of Persia: The Sands of Time but instead transitioned to a story about Assassins and the Templar Knights. In July 2006, Ubisoft bought the Driver franchise from Atari for a sum of €19 million in cash for the franchise, technology rights, and most assets. In July 2008, Ubisoft made the acquisition of Hybride Technologies, a Piedmont-based studio renowned for its expertise in the creation of visual effects for cinema, television and advertising. In November 2008, Ubisoft acquired Massive Entertainment from Activision. In January 2013, Ubisoft acquired South Park: The Stick of Truth from THQ for $3.265 million. Ubisoft announced plans in 2013 to invest $373 million into its Quebec operations over seven years, a move that is expected to generate 500 additional jobs in the province. The publisher is investing in the expansion of its motion capture technologies, and consolidating its online games operations and infrastructure in Montreal. By 2020, the company will employ more than 3,500 staff at its studios in Montreal and Quebec City. In March 2015, the company set up a Consumer Relationship Centre in Newcastle-upon-Tyne. The centre is intended to integrate consumer support teams and community managers. Consumer Support and Community Management teams at the CRC are operational seven days a week. Since around 2015, the French mass media company Vivendi has been seeking to expand its media properties through acquisitions and other business deals. In addition to advertising firm Havas, Ubisoft was one of the first target properties identified by Vivendi, which as of September 2017 has an estimated valuation of $6.4 billion. Vivendi, in two separate actions during October 2015, bought shares in Ubisoft stock, giving them a 10.4% stake in Ubisoft, an action that Yves Guillemot considered "unwelcome" and feared a hostile takeover. In a presentation during the Electronic Entertainment Expo 2016, Yves Guillemot stressed the importance that Ubisoft remain an independent company to maintain its creative freedom. Guillemot later described the need to fight off the takeover: "...when you're attacked with a company that has a different philosophy, you know it can affect what you've been creating from scratch. So you fight with a lot of energy to make sure it can't be destroyed." Vice-President of Live Operations, Anne Blondel-Jouin, expressed similar sentiment in an interview with PCGamesN, stating that Ubisoft's success was (partly) due to "...being super independent, being very autonomous." Vivendi also acquired stake in mobile game publisher Gameloft, also owned by the Guillemots, at the same time it started acquiring Ubisoft shares. In the following February, Vivendi acquired €500 million worth of shares in Gameloft, gaining more than 30% of the shares and requiring the company under French law to make a public tender offer; this action enabled Vivendi to complete the hostile takeover of Gameloft by June 2016. Following Vivendi's actions with Gameloft in February 2016, the Guillemots asked for more Canadian investors in the following February to fend off a similar Vivendi takeover; by this point, Vivendi had increased their share in Ubisoft to 15%, exceeding the estimated 9% that the Guillemots owned. By mid-June 2016, Vivendi had increased its shares to 20.1%, but denied it was in the process of a takeover. By the time of Ubisoft's annual board meeting in September 2016, Vivendi has gained 23% of the shares, while Guillemots were able to increase their voting share to 20%. A request was made at the board meeting to place Vivendi representatives on Ubisoft's board, given the size of their share holdings. The Guillemots argued strongly against this, reiterating that Vivendi should be seen as a competitor, and succeeded in swaying other voting members to deny any board seats to Vivendi. Vivendi continued to buy shares in Ubisoft, approaching the 30% mark that could trigger a hostile takeover; as of December 2016, Vivendi held a 27.15% stake in Ubisoft. Reuters reported in April 2017 that Vivendi's takeover of Ubisoft would likely happen that year, and Bloomberg Businessweek observed that some of Vivendi's shares would reach the two-year holding mark, which would grant them double voting power, and would likely meet or exceed the 30% threshold. The Guillemot family has since raised their stake in Ubisoft; as of June 2017, the family now held 13.6 percent of Ubisoft's share capital, and 20.02 percent of the company's voting rights. In October 2017, Ubisoft announced it reached a deal with an "investment services provider" to help them purchase back 4 million shares by the end of the year, preventing others, specifically Vivendi, from buying these. In the week just before Vivendi would gain double-voting rights for previously purchased shares, which would have likely pushed their ownership over 30%, the company, in quarterly results published in November 2017, that it has no plans to acquire Ubisoft for the next six months, nor will seek board positions due to the shares they hold during that time, and that it "will ensure that its interest in Ubisoft will not exceed the threshold of 30% through the doubling of its voting rights." Vivendi remained committed to expanding in the video game sector, identifying that their investment in Ubisoft could represent a capital gain of over 1 billion euros. On 20 March 2018, Ubisoft and Vivendi struck a deal ending any potential takeover, with Vivendi agreeing to sell all of its shares, over 30 million, to other parties and agreeing to not buy any Ubisoft shares for five years. Some of those shares were sold to Tencent, which after the transaction held about 5.6 million shares of Ubisoft (approximately 5% of all shares). the same day, Ubisoft announced a partnership with Tencent to help bring their games into the Chinese market. Vivendi completely divested its shares in Ubisoft by March 2019. Ubisoft noticed that connected sandbox experiences, with seamless switches between single and multiplayer modes provided the players with more fun, leading the company to switch from pursuing single-player only games to internet connected online experiences. According to Guillemot, Ubisoft internally refers to its reimagined self as 'before The Division' and an 'after The Division'. In an interview with The Verge, Anne Blondel-Jouin, executive producer of The Crew turned vice-president of live operations, noted that The Crew was an early game of Ubisoft's to require a persistent internet connection in order to play. This raised initial concerns for gamers, hampering the game's initial success and sparked concerns internally at the company. Uplay is a digital distribution, digital rights management, multiplayer and communications service for PC created by Ubisoft. Ubisoft Club is a reward program connected to Uplay Members earn rewards by completing certain actions while playing games published by Ubisoft. Completing an action gives you a certain number of Units, which members can use to unlock those rewards or to get a discount on games from the Uplay Store. AnvilNext, formerly named Scimitar, is a proprietary game engine developed wholly within Ubisoft Montreal in 2007 for the development of the first Assassin's Creed game, and since expanded and used for nearly all other Assassin's Creed titles and other Ubisoft games. The Dunia Engine is a software fork of the CryEngine that was originally developed by Crytek, with modifications made by Ubisoft Montreal. The CryEngine was unique at the time as it could render large outdoor environmental spaces. Crytek had created a demo of their engine called X-Isle: Dinosaur Island which they had demonstrated at the Electronic Entertainment Expo 1999. Ubisoft saw the demo, and had Crytek build out the demo into a full title, becoming the first Far Cry, released in 2004. That same year, Electronic Arts established a deal with Crytek to build a wholly different title with an improved version of the CryEngine, leaving them unable to continue work on Far Cry. Ubisoft assigned Ubisoft Montreal to develop console versions of Far Cry, and arranging with Crytek to have all rights to the Far Cry series as well as a perpetual licence on the CryEngine. In developing Far Cry 2, Ubisoft Montreal modified the CryEngine to include destructable environments and a more realistic physics engine. This modified version became the Dunia Engine, which premiered with Far Cry 2 in 2008. The Dunia Engine continued to be improved, such as adding weather systems, and used of the basis of all future Far Cry games, as well as James Cameron's Avatar: The Game, also developed by Ubisoft Montreal. According to Remi Quenin, one of the engine's architect at Ubisoft Montreal, the state of the Dunia Engine as of 2017 includes "vegetation, fire simulation, destruction, vehicles, systemic AI, wildlife, weather, day/night cycles, [and] non linear storytelling" which are all fundamental elements of the Far Cry games, and little of the original CryEngine code remained in the current version. Ubisoft used the controversial "StarForce" copy protection technology which is able to install drivers on a system and is known to cause hardware and compatibility issues with certain operating systems. In April 2006, Ubisoft confirmed that they would stop using StarForce on their games, citing complaints from customers. In the February 2008 issue of Electronic Gaming Monthly, editor-in-chief Dan "EGMShoe" Hsu asserted that Ubisoft had ceased to provide Ubisoft titles to EGM for coverage purposes as a result of prior critical previews and negative reviews. Yves Guillemot, the CEO of Ubisoft, was quoted in the company's third-quarter 2008–09 sales report as saying "as some of our games did not meet the required quality levels to achieve their full potential, they need more sales promotions than anticipated." In August 2008, Ubisoft was criticised by the antiwar group Direct Action to Stop the War (DASW) for its role as a developer of propaganda and recruitment tools for the United States Department of Defense. In January 2010, Ubisoft announced the online services platform Uplay, which requires customers to authenticate on the first game launch and to remain online continually while playing, with the game pausing if network connection is lost. This system prevent to play games offline, to resell them and in the case should Ubisoft's servers go down, games would be unplayable. In 2010, review versions of Assassin's Creed II and Settlers 7 for the PC contained this new DRM scheme and instead of pausing the game, it would discard all progress since the last checkpoint or save game. However, subsequent patches for Assassin's Creed II allowed players to continue playing once their connection has been restored without loss of progress. In March 2010, outages to the Ubisoft DRM servers were reported, causing about 5% of legitimate buyers to be unable to play Assassin's Creed II and Silent Hunter 5. Ubisoft initially announced this was the result of the number of users attempting to access their servers to play, but later claimed that the real cause of the outages were denial-of-service attacks. In August 2011, Ubisoft released From Dust with DRM protection, contrary to previous statements that the game would not have any DRM related restrictions. After several months, the DRM had still not been removed from copies of the game. The company's use of Aaron Priceman, also known as Mr. Caffeine by the internet, as a spokesman at Electronic Entertainment Expo 2011 was criticised for his reliance on popular internet references, inability to pronounce Tom Clancy (pronounced by Priceman as "Tom Culancy"), sexual innuendos and imitations of video game sound effects with little to no response from the audience. In July 2013, Ubisoft announced a major breach in its network resulting in the potential exposure of up to 58 million accounts including usernames, email address and encrypted passwords. Although the firm denied any credit/debit card information could have been compromised, it issued directives to all registered users to change their account passwords and also recommended updating passwords on any other website or service where a same or similar password had been used. All the users who registered were emailed by the Ubisoft company about the breach and a password change request. Ubisoft promised to keep the information safe. After revealing Assassin's Creed Unity at Electronic Entertainment Expo 2014, Ubisoft came in for criticism from the gaming community shortly after revealing that the game would not support female characters in co-op gameplay. The criticism was inflamed after they explained the absence of a female co-op or playable character in Far Cry 4: according to Ubisoft Montreal, they were close to making it possible when the decision was taken that they didn't have the right animations for a female character. Among the responses were comments from developers that the explanations given were not valid. Among them were the fact that the protagonists of Assassin's Creed III and its spin-off game Liberation shared a large number of movement animations. There were also statements that characters in video games tended to move in a similar fashion regardless of gender. An animation director for Assassin's Creed III also said that the stated reasons of workload and animation replacement didn't hold up, saying that it would be "a day or two's work" to create a female character model. In 2008, Ubisoft sued Optical Experts Manufacturing (OEM), a DVD duplication company for $25 million plus damages for the leak and distribution of the PC version of Assassin's Creed. The lawsuit claims that OEM did not take proper measures to protect its product as stated in its contract with Ubisoft. The complaint also alleges that OEM admitted to all the problems in the complaint. In April 2012, Ubisoft was sued by the author of the book Link, John L. Beiswenger, who alleged a copyright infringement for using his ideas in the Assassin's Creed franchise and demanding $5.25 million in damages and wanted to stop the release of Assassin's Creed III that was set to be released in October 2012 along with any future games that allegedly contain his ideas. On 30 May 2012, Beiswenger dropped the lawsuit. Beiswenger was later quoted as saying he believes "authors should vigorously defend their rights in their creative works", and suggested that Ubisoft's motion to block future lawsuits from Beiswenger hints at their guilt. In December 2014, Ubisoft offered a free game from their catalogue of recently released titles to compensate the season pass owners of Assassin's Creed Unity due to its buggy launch. The terms offered with the free game revoked the user's right to sue Ubisoft for the buggy launch of the game. ^ Hussain, Tamoor (4 June 2017). "Ubisoft Has A New Logo". GameSpot. Retrieved 4 June 2017. ^ a b c d e f "Ubisoft 2018 REGISTRATION DOCUMENT and Annual Report" (PDF). Ubisoft. 6 June 2018. ^ "Vivendi drops bid for gamemaker Ubisoft, ending a contentious three year takeover battle". CNBC. 20 March 2018. Retrieved 10 November 2018. ^ Jordan, Jon. "Earnings report roundup: Game industry winners and losers in Q4 2017". ^ a b c d e f g h i j k l m n Bertz, Matt (6 December 2011). "Ubi Uncensored: The History Of Ubisoft By The People Who Wrote It". Game Informer. Retrieved 8 October 2018. ^ a b c "Frères Guillemot" (in French). Gamekult. Retrieved 8 October 2018. ^ "Ubi Soft Financial Report 2000/2001" (PDF). Ubisoft. 14 September 2001. ^ a b "Ubisoft Major Milestones" (PDF). Ubisoft. June 2018. ^ Ubisoft Montreal (18 February 2013). "Here is the answer to Friday's questions". Twitter. Retrieved 8 October 2018. ^ "UBI SOFT". Amstrad Magazine. No. 8. March 1986. p. 51. ^ "Erreur !". Amstrad Magazine. No. 11. June 1986. p. 8. ^ "Ubi soft : l'aventure européenne". Amstrad Magazine. No. 10. May 1986. p. 10. ^ "Ah, les vacances !". Amstrad Magazine. No. 12. July 1986. p. 10. ^ "Gérez vos cagnottes". Amstrad Magazine. No. 14. September 1986. p. 17. ^ "Gérez vos cagnottes". Amstrad Magazine. No. 16. September 1986. p. 16. ^ a b c d "Les Boulimix". Tilt. No. 38. January 1987. p. 96. ^ Willey, Andre (March 1989). "The European Report: Games, Games And More Games". STart. Vol. 3 no. 8. Retrieved 21 April 2016. ^ "IKARI WARRIORS". Amstrad Magazine. No. 19. September 1986. p. 28. ^ Quemard, Christine (January 1994). "Behind the Screens at Ubi Soft of France!". Electronic Gaming Monthly. No. 54. EGM Media. p. 174. Retrieved 21 April 2016. ^ Vogel, Cassie (1 March 2007). "Ubi Soft Acquires The Learning Company's Entertainment Division". GameZone. GameZone Next. Retrieved 21 April 2016. ^ "Say Hello to the new Ubisoft swirl". Ubisoft. 31 May 2017. Retrieved 5 March 2019. ^ Bramwell, Tom (9 September 2003). "Ubisoft unveils new logo". eurogamer.net. Retrieved 18 July 2018. ^ Fahey, Rob (9 September 2003). "Ubisoft unveils new "visual identity"". gamesindustry.biz. Retrieved 18 July 2018. ^ Feldman, Curt (20 December 2004). "Electronic Arts buys stake in Ubisoft in "hostile" act". GameSpot. CBS Interactive. Retrieved 21 April 2016. ^ Lawton, Adrian (10 November 2008). "Ubisoft® acquires the Assets of Massive Entertainment®". Develop. NewBay Media. Retrieved 21 April 2016. ^ Chapple, Craig (30 September 2013). "Ubisoft investing $370m in Quebec operations". Develop. NewBay Media. Retrieved 21 April 2016. ^ "Ubisoft invests in new Consumer Relationship Centre in Newcastle". Newcastle City Council. 13 March 2015. Retrieved 21 April 2016. ^ a b Rosemain, Mathieu; Barzic, Gwénaëlle (25 April 2017). "Exclusive: Vivendi to accelerate expansion in video games and advertising – sources". Reuters. Retrieved 27 June 2017. ^ Takahashi, Dean (22 September 2017). "Ubisoft shareholders support Guillemot family, but Vivendi threat lingers". Venture Beat. Retrieved 22 September 2017. ^ a b Saed, Sharif (23 October 2015). "Vivendi buys even more Ubisoft shares". VG247. Retrieved 27 June 2017. ^ Graft, Kris (13 June 2017). "Ubisoft CEO stresses creative independence as Vivendi takeover threat looms". Gamasutra. Retrieved 27 June 2017. ^ Knoop, Joseph (12 April 2019). "Ubisoft CEO Remembers Vivendi's Attempted Takeover as a 'Fight' – IGN Unfiltered". IGN. Retrieved 14 April 2019. ^ Campbell, Colin (24 November 2016). "Ubisoft exec says Vivendi takeover could damage culture of innovation". Polygon. Retrieved 12 March 2018. ^ ""It's not going to be the same if Vivendi take over" says Ubisoft VP of live ops". PCGamesN. Retrieved 12 March 2018. ^ Hussain, Tamoor (15 October 2015). "Former Activision Owner Vivendi Buys Stakes in Ubisoft and Gameloft". GameSpot. CBS Interactive. Retrieved 21 April 2016. ^ d'Hauteville, Laure (18 February 2016). "Gameloft's Reaction". Gameloft. Archived from the original on 19 April 2016. Retrieved 21 April 2016. ^ a b Cookson, Robert (16 February 2016). "Ubisoft sets out growth plan to fend off Vivendi". Financial Times. Retrieved 27 June 2017. ^ Kerr, Chris (1 June 2016). "Vivendi succeeds in hostile Gameloft takeover". Gamasutra. Retrieved 27 June 2017. ^ a b Van Praet, Nicolas (25 February 2016). "Maker of Assassin's Creed video game turns to Canadian investors to fend off takeover bid". The Globe and Mail. Retrieved 21 April 2016. ^ Chalk, Andy (26 February 2016). "Ubisoft asks Canada to help head off hostile takeover by Vivendi". PC Gamer. Future US. Retrieved 21 April 2016. ^ Schreier, Jason (26 February 2016). "Ubisoft Is Afraid Of A Hostile Takeover". Kotaku. Gawker Media. Retrieved 21 April 2016. ^ Kerr, Chris (21 June 2016). "Vivendi ups stake in Ubisoft to 20.1 percent, edges toward takeover". Gamasutra. Retrieved 27 June 2017. ^ Boksenbaum-Granier, Alexandre (29 September 2016). "Ubisoft Founders Victorious as Vivendi Board Bid Is Averted". Bloomberg News. Retrieved 27 June 2017. ^ "Vivendi exceeded the 25% shareholding threshold in Ubisoft". Vivendi. 7 December 2016. Retrieved 21 April 2017. ^ Boksenbaum-Granier, y Alexandre (22 September 2017). "Ubisoft Bets on Cloud, AI to Stay Ahead of Vivendi Threat". Bloomberg Businessweek. Retrieved 26 September 2017. ^ Kar-Gupta, Sudip (27 June 2017). "Ubisoft founding family raises stake to ward off Vivendi". Reuters. Retrieved 27 June 2017. ^ Makuch, Eddie (4 October 2017). "Ubisoft Continues To Fight Off Vivendi Takeover". GameSpot. Retrieved 4 October 2017. ^ Sinclair, Brendan (16 November 2017). "Vivendi: No plans for Ubisoft takeover for six months". GamesIndustry.biz. Retrieved 16 November 2017. ^ Sarkar, Samit (20 March 2018). "Ubisoft finally fends off Vivendi takeover bid through Tencent partnership". Polygon. Retrieved 23 April 2019. ^ Crecente, Brian (20 March 2018). "Vivendi Sells All of its Ubisoft Shares to Tencent and Others". Glixel. Retrieved 20 March 2018. ^ Wawro, Alex (27 September 2018). "Vivendi lays plan to relinquish the last of its Ubisoft stock by 2019". Gamasutra. Retrieved 27 September 2018. ^ McAloon, Melissa (5 March 2019). "Vivendi has sold off its final Ubisoft shares". Gamasutra. Retrieved 5 March 2019. ^ "IMPORTANT NEWS – Ubisoft Acquires 1492 Studio and "Is It Love?" Games". 1 March 2018. Retrieved 1 March 2018. ^ "Blue Mammoth Games Joins Ubisoft!". 2 March 2018. Retrieved 2 March 2018. ^ Yin-Poole, Wesley (28 September 2016). "Ubisoft buys mobile game company behind Threes clone, 2048". Eurogamer. Gamer Network. Retrieved 21 April 2017. ^ McAloon, Alissa (17 November 2016). "Ubisoft opens fourth Eastern European studio in Belgrade, Serbia". Gamasutra. UBM TechWeb. Retrieved 21 April 2017. ^ "Ubisoft Berlin's growth ambitions will need government support". gamesindustry.biz. Retrieved 18 July 2018. ^ Campbell, Evan (19 April 2017). "Ubisoft Opens Two New AAA Studios". IGN. IGN Entertainment. Retrieved 21 April 2017. ^ Ahmed, Shahed (9 January 2001). "GAME Studios Established". gamespot.com. Retrieved 18 July 2018. ^ "Game Studios Sale Confirmed". gamasutra.com. Retrieved 18 July 2018. ^ "Ubi Soft buys GAMEs". eurogamer.net. Retrieved 18 July 2018. ^ Thorsen, Tor (2 March 2005). "Ubisoft subsumes Microids Canada". gamespot.com. Retrieved 18 July 2018. ^ Makuch, Eddie (15 November 2012). "Paul Meegan returns to Epic". gamespot.com. Retrieved 18 July 2018. ^ a b Trueman, Doug (8 May 2000). "Ubi Soft Announces Acquisitions". gamespot.com. Retrieved 18 July 2018. ^ "Gamescape: A Look at Development in North America's Cities". gamasutra.com. Retrieved 18 July 2018. ^ Thang, Jimmy (20 January 2009). "Ubisoft Expands Brazilian Operations". ign.com. Retrieved 18 July 2018. ^ "THQ Montreal will be a two team studio working on 'great, original IP'". engadget.com. Retrieved 18 July 2018. ^ "Ubisoft Canada boss says THQ Montreal staff are 'pretty happy ... that everything went well' with the acquisition". polygon.com. Retrieved 18 July 2018. ^ Hong, Quang. "Gamasutra – The Art & Business of Making Games". www.gamasutra.com. Retrieved 18 July 2018. ^ Staff, I. G. N. (22 May 2002). "E3 2002: Tork: First Look". ign.com. Retrieved 18 July 2018. ^ "Ubisoft acquires Tiwak". eurogamer.net. Retrieved 18 July 2018. ^ Staff, I. G. N. (3 May 2000). "Ubi Soft Gets Sinister". ign.com. Retrieved 18 July 2018. ^ "Dinner with Anne McCaffrey". eurogamer.net. Retrieved 18 July 2018. ^ Wawro, Alex. "After 18 years, Ubisoft Casablanca is closing up shop". gamasutra.com. Retrieved 18 July 2018. ^ "Ubi opens development studio in Brazil – VG247". vg247.com. 24 June 2008. Retrieved 18 July 2018. ^ Graft, Kris. "Ubisoft: Brazilian Operations Will 'Ramp Down' By Year-End". gamasutra.com. Retrieved 18 July 2018. ^ Fahey, Mike. "Ubisoft Acquires Action Pants". kotaku.com. Retrieved 18 July 2018. ^ Curtis, Tom. "Ubisoft shuts down its Vancouver studio". gamasutra.com. Retrieved 18 July 2018. ^ "Ubisoft Zurich is founded to create "free to play games for PC" – GameWatcher". www.gamewatcher.com. Retrieved 18 July 2018. ^ www.20min.ch, www.20minuten.ch, 20 Minuten, 20 Min,. "Ubisoft Zürich muss dicht machen". 20min.ch. Retrieved 18 July 2018. ^ "Shoot To Thrill: Playing Catch-Up with Former Shadowbane Developers at Stray Bullet Games". gamasutra.com. Retrieved 18 July 2018. ^ Staff, I. G. N. (1 March 2004). "Ubisoft Acquires Wolfpack Studios". ign.com. Retrieved 18 July 2018. ^ Jenkins, David. "Gamasutra – The Art & Business of Making Games". www.gamasutra.com. Retrieved 18 July 2018. ^ a b c d e Crecente, Brian (8 March 2016). "The Division isn't just Ubisoft's next game, it's the company's future". Polygon. Retrieved 15 March 2018. ^ "Ubisoft Highlights Strategies 2017 Corporate Event GDC". Ubisoft. 1 March 2017. Retrieved 15 March 2018. ^ Hall, Charlie (11 July 2013). "THE STORY OF CRYTEK: FROM X-ISLE THROUGH REDEMPTION". Polygon. Retrieved 31 May 2017. ^ Jenkins, David (23 July 2004). "EA Sign Crytek". Gamasutra. Retrieved 30 May 2017. ^ Steel, Wade (30 March 2006). "UBISOFT ACQUIRES RIGHTS TO FAR CRY". IGN. Retrieved 30 May 2017. ^ Nutt, Christian (9 July 2008). "In-Depth: Far Cry 2's Guay Talks Dunia Engine, State Of PC". Gamasutra. Retrieved 30 May 2017. ^ Hocking, Chris (15 September 2017). "The making of Far Cry 2". Gamasutra. Retrieved 30 May 2017. ^ Battaglia, Alex (10 April 2018). "Is Far Cry 2's tech really more advanced than Far Cry 5's?". Eurogamer. Retrieved 27 September 2018. ^ "Far Cry 3 PC Performance Test: Graphics & CPU". Kotaku.com. ^ Kidwell, Emma (6 December 2017). "GDC Speaker Q&A: Building the data pipeline for Ubisoft's Far Cry 5". Gamasutra. Retrieved 27 September 2018. ^ Thorsen, Tor (13 April 2006). "Ubisoft officially dumps Starforce". GameSpot. CBS Interactive. Retrieved 21 April 2016. ^ Plunkett, Luke (9 January 2008). "3 Companies Bar EGM From Coverage Following Poor Reviews". Kotaku Australia. Allure Media. Retrieved 21 April 2016. ^ Hsu, Dan (9 January 2008). "Banned". 1UP.com. IGN Entertainment. Archived from the original on 16 August 2015. Retrieved 21 April 2016. ^ Roquette, Jean-Benoît (22 January 2009). "Ubisoft® reports third-quarter 2008–09 sales" (PDF). Ubisoft. Retrieved 21 April 2016. ^ Sinclair, Brendan (6 August 2008). "Antiwar group targets Ubisoft, America's Army". GameSpot. CBS Interactive. Retrieved 4 July 2017. ^ Reilly, Jim (18 February 2010). "Assassin's Creed II PC Requires Constant Internet Connection". IGN. IGN Entertainment. Retrieved 21 April 2016. ^ Yam, Marcus (5 March 2010). "Ubisoft Patch Makes its Internet DRM Less Painful". Tom's Hardware. Purch Group. Retrieved 21 April 2016. ^ a b Chalk, Andy (8 March 2010). "Ubisoft Blames DRM Outage on "Server Attack"". The Escapist. Defy Media. Archived from the original on 4 March 2016. Retrieved 21 April 2016. ^ a b Bramwell, Tom (8 March 2010). "Ubisoft DRM was "attacked" at weekend". Eurogamer. Gamer Network. Retrieved 21 April 2016. ^ McElroy, Justin (18 August 2011). "From Dust PC players erupt in anger over port". Engadget. AOL Tech. Retrieved 21 April 2016. ^ Sterling, Jim (14 June 2011). "Are publishers doing E3 badly on purpose?". Destructoid. ModernMethod. Retrieved 21 April 2016. ^ "Ubisoft warns millions of video gamers of hack attack". BBC News. BBC. 3 July 2013. Retrieved 21 April 2016. ^ Goldfarb, Andrew (2 July 2013). "Ubisoft Website Hacked". IGN. IGN Entertainment. Retrieved 21 April 2016. ^ a b Ray Corriea, Alexa (11 June 2014). "Far Cry 4 devs were 'inches away' from women as playable characters". Polygon. Vox Media. Retrieved 21 April 2016. ^ LeJacq, Yannick (6 November 2014). "Ubisoft in Trouble Over Comments About Female Characters". Kotaku. Gawker Media. Retrieved 21 April 2016. ^ Sung, Lydia (7 August 2008). "Ubisoft suing over Assassin's Creed leak". Neoseeker. Neo Era Media. Retrieved 21 April 2016. ^ Magder, Jason (25 April 2012). "Montreal-based company Ubisoft target of $5-million copyright lawsuit". Global News. Retrieved 21 April 2016. ^ Orland, Kyle (19 April 2012). "Sci-fi author sues Ubisoft over Assassin's Creed copyright infringement". Ars Technica. Condé Nast. Retrieved 21 April 2016. ^ Makuch, Eddie (23 December 2014). "Assassin's Creed Unity Free Game Offer Waives Lawsuits". GameSpot. CBS Interactive. Retrieved 21 April 2016. Wikimedia Commons has media related to Ubisoft.